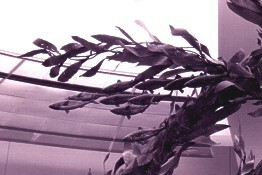 Says Terry: "I had my first kelpbed experience at 14 when I dove off Point Loma to become a N.A.U.I. certified SCUBA diver in 1972. 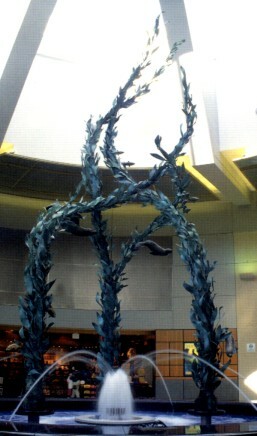 I had no idea that 30 years later I would create all of this in bronze for San Diego Int'l Airport. 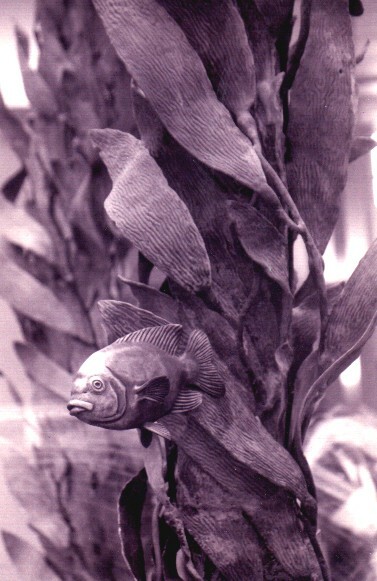 This sculpture gave me a chance to share a dive in our local waters with those visiting San Diego's Lindbergh Field." Sea Rhythms was selected by San Diego Unified Port District as one of 15 art projects from a contest of 557 proposals. 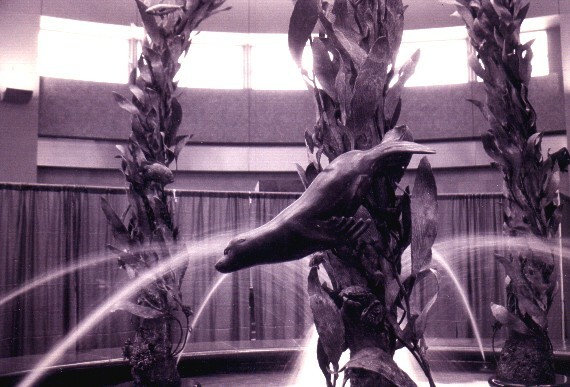 This 26-foot tall bronze and copper sculpture is located in the central fountain at the Market Place Rotunda just beyond security in the New West Terminal.